The Chicago Department of Cultural Affairs and Special Events (DCASE) is pleased to announce the dates and highlights for the third annual Lake FX CreativeCon, the Midwest’s largest FREE conference for emerging artists and creatives, April 21–22 at the Chicago Cultural Center (78 E. Washington St.). The keynote address on Friday, April 21, at 5 p.m. will be given by Kevin Liles, Co-Founder of 300 Entertainment and CEO of KWL Management. Liles will share his knowledge and experience as a successful brand expert and music and entertainment executive. In addition to keynote speakers, the event will feature professional development workshops, an interactive resource fair, networking opportunities, auditions in front of leading A&R label executives for selected musicians and much more. A complete schedule will be released in March. Music and entertainment executive Kevin Liles, Co-Founder of 300 Entertainment and CEO of KWL Management, will deliver the keynote address on Friday, April 21. As CEO of KWL, Liles works with entertainers, athletes and models to develop brands, as well as forge partnerships and cultivate successful careers. In 2014, Liles partnered with his longtime mentor Lyor Cohen and friend Roger Gold to found 300 Entertainment, an entertainment-based content company backed by Google Ventures. 300's current artist roster includes Fetty Wap, Highly Suspect, Conrad Sewell, Young Thug and Coheed and Cambria. His notable career in the industry also includes serving as CEO of Def Jam Records and Executive Vice President of Warner Music Group. Beyond his work in the private sector, Liles is a committed philanthropist, community activist and advocate for youth empowerment and education. Kevin Coval, editor of The BreakBeat Poets: New American Poetry in the Age of Hip-Hop, Founder of Louder Than A Bomb: The Chicago Youth Poetry Festival and the Artistic Director of Young Chicago Authors will interview Mr. Liles and lead the Q&A after the keynote address. Lake FX CreativeCon will once again present A&R Auditions, offering Chicagoland-based artists and bands the opportunity to showcase their work live in front of major label A&R executives. Both solo artists and bands are invited to apply for FREE starting on February 16. Details will be available at LakeFXChicago.us. All artists and bands must submit an application and YouTube video that is no more than 2-minutes to be considered. A committee of industry professionals will review all submissions based on performance criteria and pre-select artists/bands for the audition slots. Absolutely no walk-in auditions will be available. New to Lake FX for 2017 is the ACCESS Lab, an energized resource fair connecting participants with industry leaders and organizations through fun and informative one-on-one and small group activities. Exhibiters will include businesses and industry organizations that provide services, information, space, equipment or other resources for Chicago-based creative artists and entrepreneurs. The ACCESS Lab will take place during Lake FX CreativeCon on April 21 and 22 from 10 a.m. to 4:30 p.m. Proposals for professional development activities and creative services exhibitors are now being accepted through February 17 at LakeFXChicago.us. Lake FX CreativeCon also offers attendees professional development discussions, panels and workshops – on topics ranging from marketing and engagement strategies to legal, financial and space issues – all presented by industry experts for those working in creative industry fields including music, performing arts, design and visual arts. 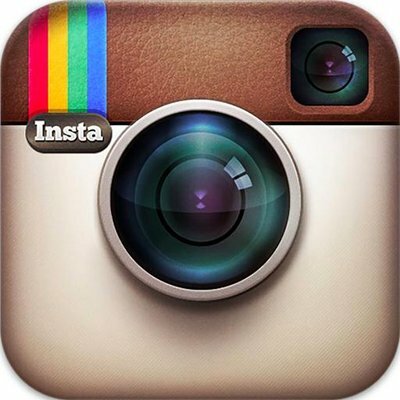 The full schedule of sessions will be released in March. Presented by the Chicago Department of Cultural Affairs and Special Events, Lake FX CreativeCon takes place April 21 and 22 at the Chicago Cultural Center (78 E. Washington St.) and all aspects of the event are FREE. Links Taproom – an All-American craft beer and sausage focused neighborhood bar located at 1559 N Milwaukee Ave in Wicker Park – will host the “Super Surly Bowl Sunday” with a Surly Brewing tap takeover featuring the rare Barrel Aged Darkness, Barrel Aged Darkness BBQ chicken wings, and more for the Super Bowl on Sunday, February 5. Links will tap seven Surly kegs (all listed below) for the event which starts when Links opens at 11:30am on Super Bowl Sunday. All of the Surly beers will be priced between $6 and $10 per pour. Links will also sell a dozen chicken wings for $11 tossed in a Surly Barrel Aged Darkness BBQ sauce. There will also be special Surly games, prizes, and giveaways during the event. Links will show the Super Bowl on its six flatscreen TVs with sound. There is never a cover at Links. Jordan is in dire financial need right now and is seeking financial help. I've posted the link for the story from DNAInfo and the direct link to her Gofundme page. Every dollar helps and adds up! Van Doren Waxter is pleased to announce​ Harvey Quaytman: Hone, an exhibition of paintings from this crucial figure of late-era American abstraction. Opening February 22, 2017 and remaining on view through April 28, 2017​, ​Harvey Quaytman: Hone marks the gallery’s first exhibition of Quaytman’s work since representation of the artist’s estate in 2016. A fully illustrated catalogue will accompany this exhibition with an essay by Steven Henry Madoff. Harvey Quaytman (1937-2002) is best known for his large scale, hard-edged modernist​ paintings. Originally steeped in the vernacular of 60s American abstraction reminiscent of Arshile Gorky and Willem de Kooning, Quaytman found his distinctive style of abstraction in the 70s by creating unconventionally shaped paintings dominated by one or two colors. H​arvey Quaytman: Hone features work from the 80s when the artist began a new chapter working within a rectangular format distinguished by bold, assertive colors. A rich palette dominates his paintings of this period, often with a cruciform as the central compositional anchor, a form that he later isolated evoking painting as object. One of the earliest works in the show is​ Untitled (1983), a rectangular painting characterized by a black window on a white ground. The window hovers toward the outer border of the picture with a curved edge at the lower corner—a line that replicated his pendulum shaped works from the mid-70s. Here, the curve is incorporated within the window, taking what was outside and bringing it in. From 1985–1988, Quaytman experimented with form and perspective as the window is covered by the cruciform. The act of looking is paramount to understand Quaytman’s choices of composition, medium and color. Close inspection reveals the richness of surface and nuanced color which brings a sensuous quality to hard edge shapes. Though an admirer of artists such as Malevich and Mondrian, Quaytman was moved more by the spirit of optimism in Suprematist painting than its physical properties. Harvey Quaytman: Hone is the first exhibition of Quaytman’s work since 2014 and the closing of the McKee Gallery, who had been the artist’s dealer for 41 years. A retrospective planned for 2018 at The Berkeley Museum and Pacific Film Archive will be organized by Apsara DiQuinzio, BAMPFA Curator of Modern and Contemporary Art and Phyllis C. Wattis, MATRIX Curator. 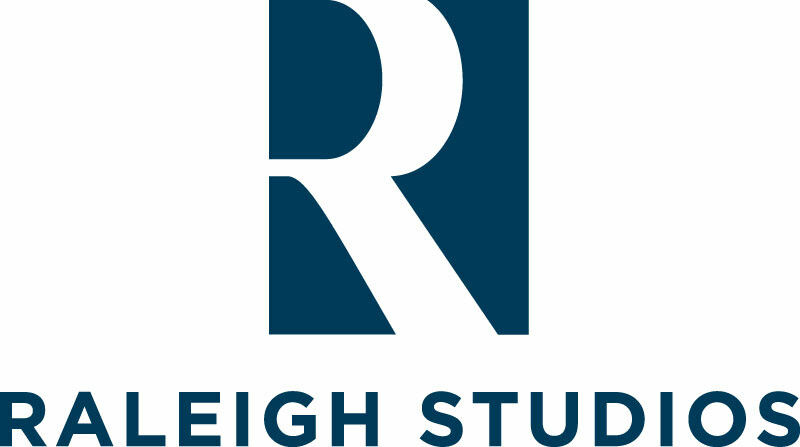 Established in 2013, Van Doren Waxter specializes in American Abstraction from 1950-1990 exclusively representing the James Brooks Foundation, the Richard Diebenkorn Foundation, works on paper from the Al Held Foundation, the Harvey Quaytman Estate, the Alan Shields Estate, and the Hedda Sterne Foundation. Additionally, the gallery handles secondary market works, specializing in John Chamberlain, Mark di Suvero, Sam Francis, Helen Frankenthaler, Hans Hofmann, Ellsworth Kelly, Franz Kline, John McLaughlin and Frank Stella, among others. Labels: art, exhibit, Harvey Quaytman, New York, Van Doren Waxter Presents "Harvey Quaytman: Hone"
The Pond Hawks made Tom Lounges (NWITimes) Top 10 Regional Albums of 2016 at #6! with their new album "Blue Light! Congrats to my old friends in The Pondhawks! This band's 2010 debut album - "The Pondhawks Have Landed" -- had made this list and this worthy successor does likewise. Its groovy psych-pop sound resonates with us boomers who miss the sparkling hooks and bouncy beat of Sixties pop. The Pondhawks create tasty ear candy while blending the British flavor of those beloved Mersey Beat boys with the kind of Sunshine-pop made famous by the likes of Boyce & Hart. Be warned! This 10-song collection is upbeat, energized and prone to causing spontaneous "happy feet." "Blue Light" not only fulfills the promise The Pondhawks made to music fans with their debut, but continues towards the next level on the more progressive '60s sound of the last two tracks, "Orange Sunset Time" and the Eastern-flavored "Incredible Dream." Tom's Picks: "Wire Me" and "Bitter Game"
With controversy growing over the use of “alternative facts” in American politics, 888poker unveil a study into how much we mislead others – and find that in a OnePoll survey of 1000 respondents, 84% of women said they believed it was OK to tell the occasional white lie, compared to 77% of men. Are you a gifted liar or a second-rate fibber? Can you bluff with the best of them, or do you fold on the first hand? A new infographic from 888poker shows just how many of us are prepared to massage the truth, whether for a good cause, or just to take a day off work without using any holiday. Or to dismiss insightful media criticisms. Have a look at some of the most outrageous responses to the survey below, but take them with a pinch of salt – only 31% said they’d own up if they got caught lying! There were any numbers of reasons to “call in sick” - including wanting to go fishing, “I hate my boss” and even getting married! 20% of respondents would stick to their lie if they were caught out. 32% of people have fibbed on their CV – but the other 68% might be lying. 55% of women have lied about the price of a purchase, compared to only 33% of men… they didn’t say how much the difference was, though. "I'm on my way!" - More than 62% of people admitted to saying they were somewhere they weren’t. "I got stuck in traffic!" - 53% of respondents used busy roads and transport as their excuse for being late. “I like your outfit!” – Protecting feelings, or protecting themselves? Either was, 53% of people copped to telling this white lie. "It was on sale!" - Although more popular amongst women, almost 45% of people told the occasional fib about how much they were spending. “I’m ill!” - 44% of people said they’ll occasionally pull a sickie to get off work. “My phone ran out of battery!” - 41% of respondents dodged a conversation by blaming their technology. "I only had one drink!" – 36% of respondents said they’d understated how much they’d put away. “I didn’t have any signal!” - 44% of people just didn’t want to pick up the phone. 35% of people said they had lied about spending time with loved ones. 32% of our respondents admitted to "boosting" their CV a little bit. The piece also includes tips and tricks to improve your bluffing technique, so you don’t get caught out with your own little white lies (even if they really are for the best!). Admit something true – it’ll keep your interrogator on their toes. Go on the offensive – lie before you’re questioned about it, or it’ll be less believable. Keep your story straight – remember all the details or you’ll trip yourself up! Keep to your normal way of speaking – don’t use words you wouldn’t normally, or you’ll get caught out! So whether you stumble over a slight mistruth or can fool a lie detector, brush up on your bluffing skills and check out the statistics – we promise they’re all true! Check out the rest of the funny, tragic, and bizarre results in this infographic. Click to view larger flyer. 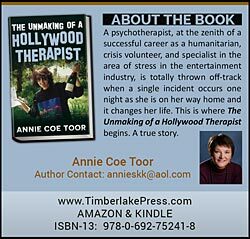 Woodland Hills, CA — Growing up in England, Annie Coe, author of The Unmaking of a Hollywood Therapist, yearned to escape the “eternal rain and rigid social restrictions” that made her feel closed in. One day she saw a picture postcard of California palm trees under the glass top of her mother’s dressing table, and was hooked. The scene conjured up images of swimming pools and the good life, one filled with hope and promise, and most of all — freedom. With personal determination and an unwavering desire, Annie moved to Los Angeles in the mid -1960s, venturing off into the great unknown, armed only with her imagination and a unique brand of moxie. After working at a series of medical-related positions, she stumbled upon a dream job in the film business, becoming the personal assistant to the legendary Orson Welles, whom she adored. Annie also rubbed elbows with the Hollywood elite, such as with actors Michael Douglas, Sylvester Stallone, Robert Redford, and Kevin Costner — before he became famous. When her job with Orson Welles abruptly ended after the film he was making lost financing, she went on to work with director Adrian Lyne on the hit movie Flashdance, experiencing the exhilaration of being attached to a movie that was a huge commercial success. In Annie’s private life, a deep romance with an up-and-coming artist ended tragically when he was killed in an accident at the age of 27. This event sent her into grief counseling that proved to be another turning point, as it led to her true passion — assisting others, just as her counselor had helped her through her own grief. Finally, she went back to school, and passed the licensing exam to become a Marriage and Family Therapist (LMFT), and opened up a private practice, specializing in “stress in the entertainment industry”. 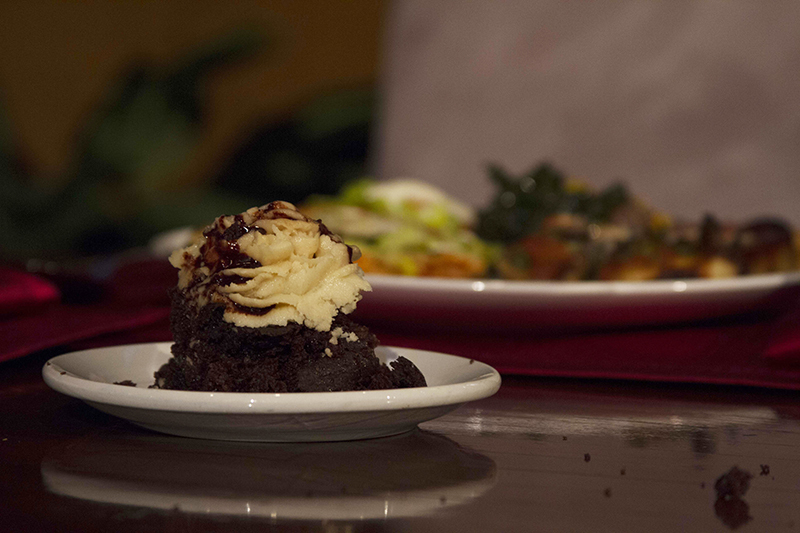 Annie saw celebrity clients, and was interviewed in magazines, and on radio and TV. Additionally, she volunteered to help victims of Hurricane Katrina, along with other notables such as Oprah Winfrey and Sean Penn. 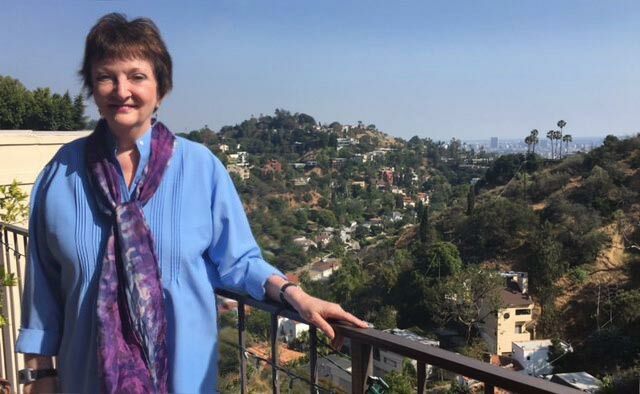 Annie was now living her “California Dream.” She furnished her office with fancy antiques and Tiffany lamps, and wore the latest designer clothes. When she married attorney Bruce Toor, he used to proudly refer to her as the “Jaguar of therapists.” Annie seemed to have it all. Then one night in 2008, all of this changed. Driving home from having a few glasses of wine with an old friend, she was arrested for drunk driving, got a DUI, and spent the night in jail. As the result, Annie’s life was no longer her own. The law swept in and for the next three years, she was under the thumb of the Superior Court, the DMV, The Board of Behavioral Sciences (BBS), and attorneys. She was ordered by the court to take classes such as driver’s education, attend AA meetings, and go to counseling, as well as pay heavy fines and fees. After that came the bi-annual renewal application for her psychotherapy license from the BBS. On the form was a Yes or No question asking if she’d had any legal issues since last renewing her license. Annie checked “Yes” and sent it in, along with her paperwork proving she’d fulfilled the court requirements. She then waited three months to find out her fate. When the BBS responded, they instead gave her another two years of requirements, including probation. 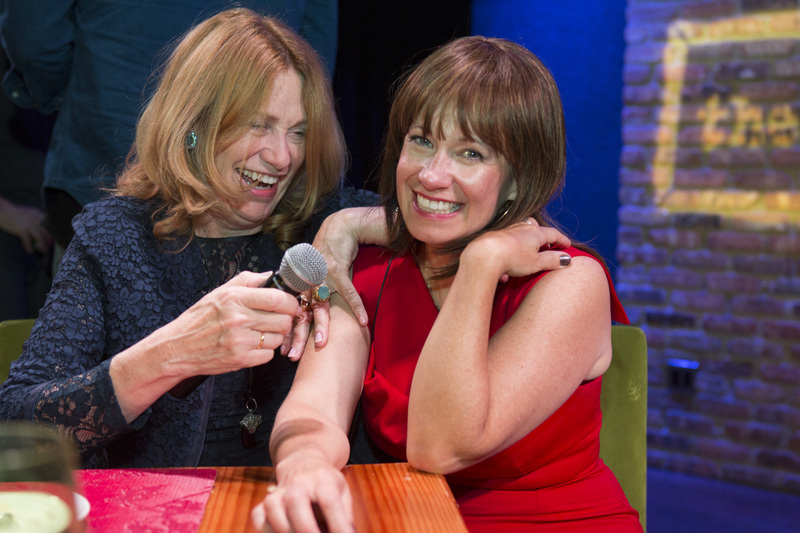 Annie was now on the horns of a dilemma: Should she go along with the Board’s new demands and subject herself to this probation in order to keep her license to practice her beloved career as a psychotherapist? It certainly didn’t feel like the “freedom” Annie had come all the way to America to find. Or should she surrender her license and get her freedom back? “No professional licensing organization should ever have this much control over the professionals under its care,” she states. 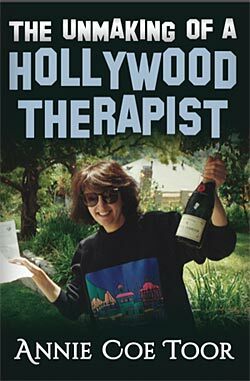 The Unmaking of a Hollywood Therapist, published by Timberlake Press is available on Amazon.com for $17.95. One person can make a difference and inspire others to do the same. 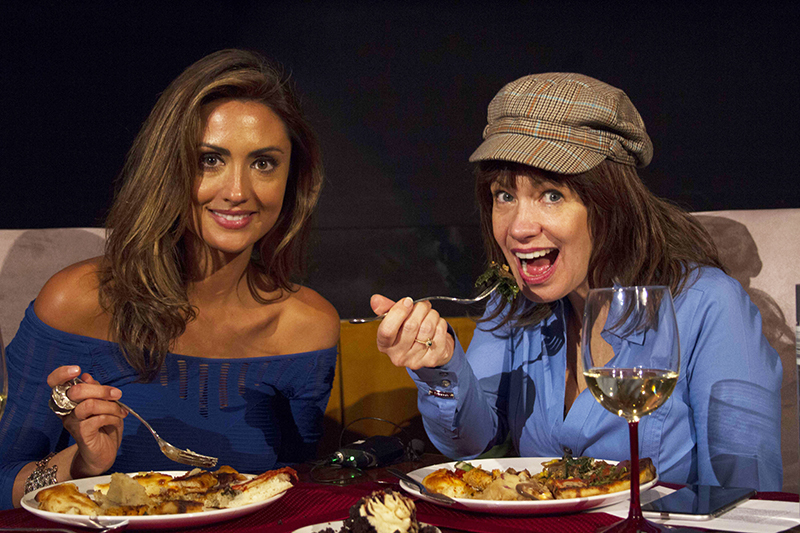 Model (America's Next Top Model, Deal or No Deal), actress, filmmaker (Give Me Shelter) and animal activist, Katie Cleary joins me for an episode of The Celebrity Dinner Party with Elysabeth Alfano podcast. Katie and I dish on what matters to us, her World Animal News website, her Peace For Animals organization and what everyone can do to make a positive impact. Click here or on the images to listen in. Prepare to be inspired! I've had some great interviews over the last 5 years with Joel Murray, Margaret Cho, Michael Madsen, Stone Temple Pilots, Julian Lennon and more. Subscribe (and review!) on iTunes here. Don't forget to subscribe to my Youtube channel here. Enjoy! More than 900 attendees are expected at this year’s Paint the Night Purple event to help raise critical awareness and funds for Alzheimer’s disease. Paint the Night Purple brings people together from all across Chicagoland for an unforgettable evening of dancing, cocktails, hors d'oeuvres, desserts, and live entertainment from a DJ and the Chicago native group, The Boy Band Night. Guests can also enter to win lavish prizes during the raffle and silent auction, such as a signed Patrick Kane Chicago Blackhawks Jersey, a Hilton Hotel stay and tickets to iconic Chicago destinations such as the Joffrey Ballet and Shedd Aquarium. All proceeds from the event benefit the Alzheimer’s Association, Greater Illinois Chapter for the advancement of Alzheimer’s care, support and research. Paint the Night Purple is hosted annually by the Alzheimer's Association, Greater Illinois Chapter Junior Board. The Junior Board was founded in 2011 to raise awareness of Alzheimer’s disease and related dementias, and to take action through fundraising events, support programs, education and advocacy initiatives. Alzheimer’s has touched each one of these civic-minded young professionals in some way, and all are united by a desire to see an end to the disease. HOW: Purchase tickets online at www.alzillinoisjuniorboard.org. Tickets are $100 and include guest entry, appetizers, desserts, open bar, silent auction, raffle, live entertainment and more! The Alzheimer’s Association is the world’s leading voluntary health organization in Alzheimer’s research, care and support. Our mission is to eliminate Alzheimer’s disease through the advancement of research; to provide and enhance care and support for all affected; and to reduce the risk of dementia through the promotion of brain health. The Alzheimer’s Association, Greater Illinois Chapter serves 68 counties in Illinois. Since 1980, the Chapter has provided reliable information and care consultation; created supportive services for families; increased funding for dementia research; and influenced public policy changes. The new year is here and Silver Eye is incredibly excited to welcome you to our new home in the Penn Avenue Arts District this spring. We are more than two-thirds of the way to our individual contribution goal of $30,000! It's not too late to make a difference; start 2017 by helping us reach our goal and make a gift to Silver Eye's New Vision Campaign today. 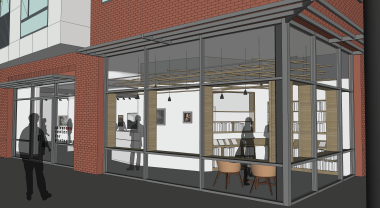 Your gift helps us put the finishing touches of lights, bookshelves, equipment, and so much more on our new gallery once it is built out. 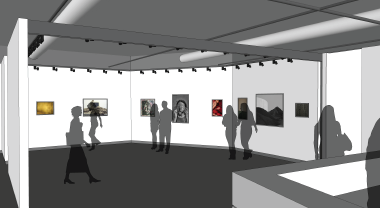 Our New Vision of open spaces, walls filled with thought-provoking art, and openings packed with art lovers like you will become a reality, but we need your help. Make a gift to Silver Eye today. Silver Eye has succeeded in Pittsburgh for over 30 years because of generous, committed, art lovers like you. Help us create this extraordinary new space for our community by making a gift to our New Vision Campaign today. 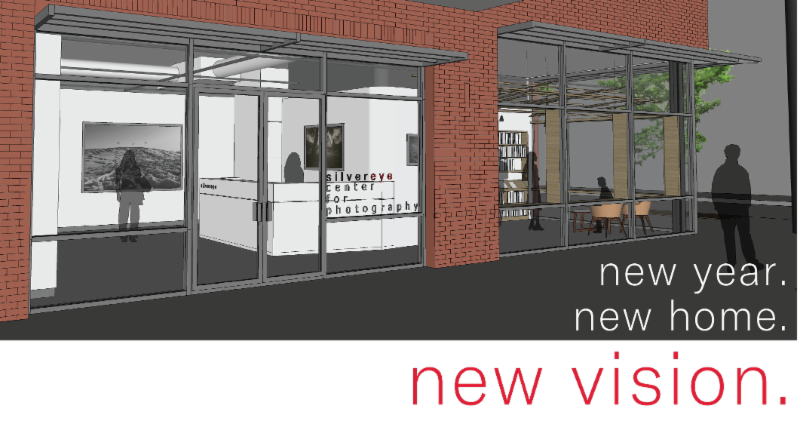 Visit silvereye.org/newvision to see beautiful architectural renderings of our new space provided by The Design Alliance Architects, as well as to see all of our donor levels and to make your gift today. Thank you for your support--past, present, and future. Your generosity makes an incredible difference for Silver Eye. We cannot wait to welcome you into our new home this coming spring!